Richard Pitino wanted to schedule a charity basketball game like the Gophers did last season to raise money for hurricane relief efforts. Only problem is the NCAA made that too difficult this time -- for a lot of college basketball programs. Division I teams are allowed two basketball exhibition games before each season, per NCAA rules. Many programs play just one exhibition against a lower division opponent at home and also schedule what’s known as a “secret scrimmage” vs. an opponent from their level. Box scores and recaps can now be released after the secret game, but the teams can’t announce the scrimmage or open it for fans and media to attend. A source told the Star Tribune the Gophers play Creighton on Oct. 20 as an already agreed upon secret scrimmage closed to the public, so that wasn’t an option for a charity game. And the U already has a Nov. 1 exhibition scheduled with Minnesota Duluth at Williams Arena. The NCAA approved Penn State playing West Virginia on Nov. 3 with ticket sales going to hurricane relief, but only because it will count as one of their two exhibition games. North Carolina and South Carolina had their requests to play each other denied by the NCAA for a similar hurricane relief effort, because they already have two exhibitions scheduled, according to this story by the Post and Courier. Last year, the Gophers played Creighton in a secret scrimmage and Concordia St. Paul in an exhibition game, but the NCAA still allowed them to play Green Bay in front of about 2,400 fans at Maturi Pavilion. That charity exhibition game was agreed upon less than two weeks prior but raised nearly $16,000 for the American Red Cross to aid hurricane victims in Puerto Rico. Pitino even matched a dollar of his own money for every ticket sold to the event, which mirrored an abundance of relief games across the country before the 2017-18 college hoops season. 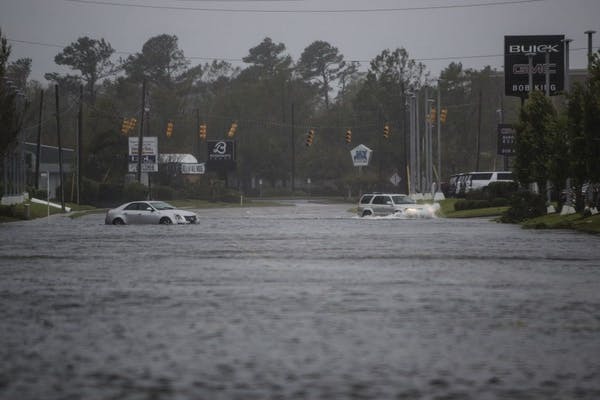 Massive flooding in North Carolina from Hurricane Florence this fall prompted North Carolina State coach Kevin Keatts to plead to his fellow college hoops coaches for help. Houston coach Kelvin Sampson had the same idea to support victims after a disastrous Texas flood last year. Pitino jumped on board to have Minnesota's program help Sampson last season. The Gophers also sent boxes of clothes and gear to Keatts last week. Another charity relief game, though, never came together this year thanks to the NCAA.